Sandy Steen Bartholomew is well known for her whimsical, tangling characters. 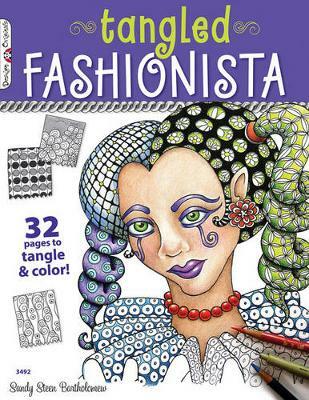 Sandy's latest book presents a collection of string shapes and designs reminiscent of paper dolls. Designed in her signature style with plenty of spaces to be filled with tangles and colors, you will love the women, shoes, tattoos and fashions. Perfect for every artist wanting a prepared canvas and anyone who just loves to tangle, these shapes are designed to inspire creativity and encourage further artistic endeavors.